I couldn't decide what type of pizza to order. Lots of the menu choices sounded really good, so I split the pie in half. One half of the pizza was topped with The Coop. This consisted of garlicky green olives, cracked black pepper, garlic olive oil feta, and goat cheese. The other half was The Red Line. This side of the pie had hot sausage, roasted tomato, scallions, traditional sauce, mozzarella, and goat cheese. Both were good, but I think I preferred The Red Line. The flavors on this side of the pizza were a bit more balanced, while The Coop was a bit of a salty overload with the olives and feta. It wasn't exactly traditional pizza with a thin crispy crust and creative toppings. I know a couple NY style pizza purists that would have hated this pie, but I very much enjoyed my meal at Emma's. I arrived in Boston on a Monday evening. I decided to explore the city a bit and get some dinner. After wandering around downtown, I was surprised how little was open. Boston apparently has an early bedtime on a Monday night for a city of it's size. I did notice this gets better later in the week, but apparently everyone eats home on Mondays here. Chinatown seemed to be the neighborhood where everything was open, but almost every restaurant was completely void of customers. I didn't want to be the lone diner in wherever I ate, so I chose Pho Pasteur since there were a few other customers eating here. I ordered the Tai Gau. This was a big bowl of noodle soup with rare steak and brisket. It was a cold night in Boston (by Floridian standards), so a hot bowl of soup was very satisfying. This was a pretty standard bowl of pho. The broth was tasty. 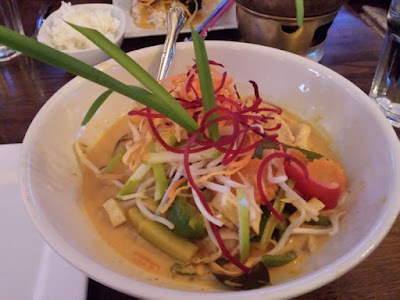 There was a good about of vegetables in the soup (scallions, onions, and other greens), along with the side dish of bean sprouts, basil, jalapeno, and lime. 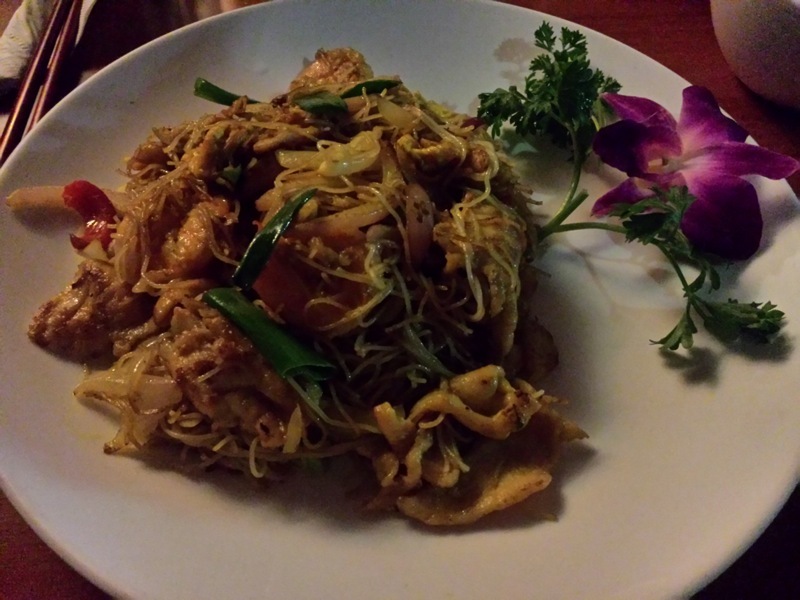 Overall a very good dinner of Vietnamese food! I found this truck parked in a greenway going through Downtown Boston at lunch time. They shared the spot with a few other trucks, and this truck was one of the busier options. I took a guided tour along parts of the Freedom Trail. One of the stops on the tour was the Omni Parker House Hotel. Our tour guide spouted out all kinds of interesting facts about this historic hotel, ranging from the presidents and celebrities who have stayed here to the hotel's ghost stories. 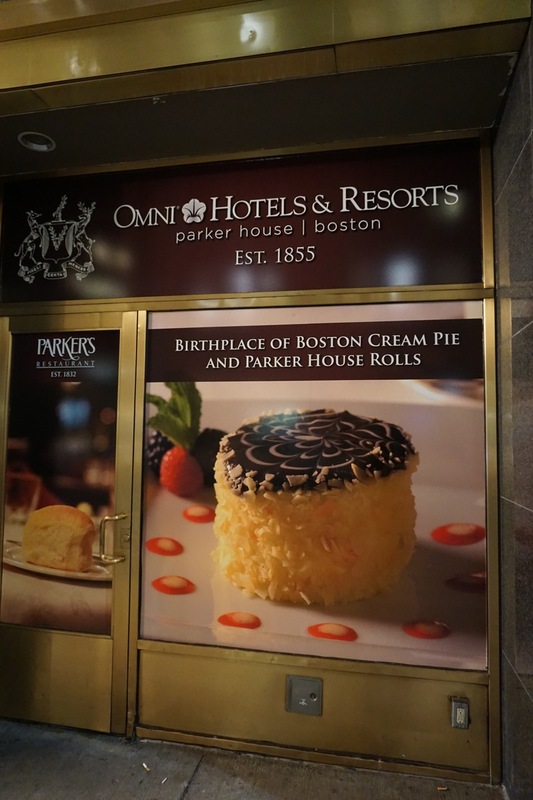 The one fact that made my food blogger radar perk up was that the dessert known as a Boston Cream Pie was invented in one of the hotel's restaurants. I decided I needed to try a Boston Cream Pie from the place it was created. I later returned to the hotel and found out their coffee/gift shop sold the pies without having to go into the pricy Parker's Restaurant. The price almost scared me away. Eight dollars and change for a small dessert that was three inches in diameter. Still, I had walked across town to try the pie, so I splurged. I think I may have had Boston Cream Pies and Boston Cream Doughnuts mixed up in my head. I was expecting much more cream in here. Instead, the pie consisted of two layers of cake with a thin layer of cream sandwiched in between. It was topped with chocolate icing. After the initial surprise that this was more of a cake than a cream filled pie, I enjoyed the dessert. The cake was moist. The small layer of cream provided a little change in flavor to mix things up. Although it was tasty, the Boston Cream Pie definitely wasn't worth the price and I wouldn't spend that money again. 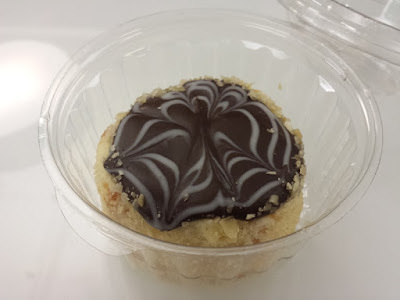 Still, I can say I've tried the original Boston Cream Pie! During the same tour where I found out about the Boston Cream Pies, the guide also recommended checking out Little Italy. I took up that advise and found myself getting dessert at a bakery called Modern Pastry. For a place with modern in the name, they had a very retro neon sign. The place was filled with cases and cases of delicious looking pastries, cakes, cookies, pies, and other sweets. 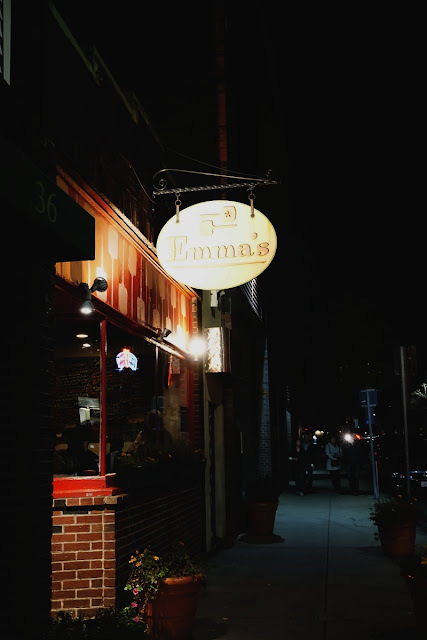 I was told that while visiting Boston, the two foods that are absolute must eats while in the city were New England Clam Chowder and Lobster Rolls. The person behind the desk of where I was staying told me Boston Chowda Co was the best place to get these foods for affordable prices. Boston Chowda Co was is located in the Quincy Market/Faneuil Hall. This was basically a big food court in a historic building. It turned out lobster rolls were really expensive here compared to prices I saw elsewhere in the city. I guess the person who recommended this place was saying it was affordable because it was fast food. I did have a cup of New England Clam Chowder. 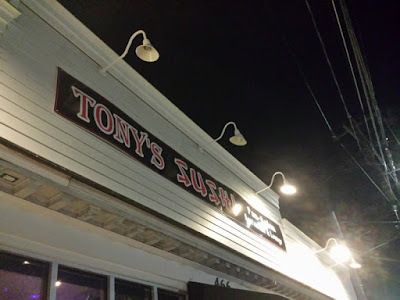 It was okay, but I would have expected a bit better from a place called Boston Chowda Co. The soup was creamy with lots of potato. It had a typical creamy flavor, but nothing really memorable. The clams were really chewy, so that was disappointing. In order to check the lobster roll off my list of Boston foods, I ended up at the Beantown Pub. Beantown Pub was a very busy place with very few open tables. Luckily I didn't need to wait too long. 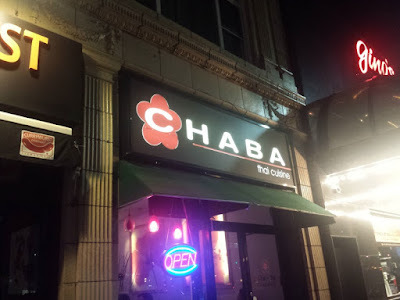 Something I noticed about Boston, including this restaurant, was that I felt underdressed. Almost everywhere I went, the majority of people in here were wearing business attire. Do people dress like this all the time in Boston? The lobster roll here cost much less than Boston Chowda Co's. It also came with fries and coleslaw, while the more expensive roll came with nothing. I'm honestly not a lobster connoisseur, but I'd much rather eat the crustacean in sandwich form like this over plain lobster dipped in butter. The sandwich was tasty enough, as were the fries and coleslaw. I was in New York and wanted to extend my travels a bit by going to Boston. I wanted to do this in a way I have never done long distance travel before: by train. When booking my train tickets through Amtrak, I saw that the Acela high speed rail was an option. It was expensive compared to the other choices, but I decided to go for it. I wanted to say I've rode the fastest train in the Americas! I left from Penn Station in New York and traveled to Back Bay Station in Boston. While on the train, I explored a little bit. I made my way to the Cafe Car and bought myself some food. I had low expectations for train food, and my low expectations were met. The pizza that I ordered was frozen and microwaved. I think it was a Digiorno brand pizza. The crust was a soggy mess, and the tiny size didn't make it worth the price. This is not a pizza I think I'll crave any time soon. Chaba is located in downtown Long Beach. They were a small restaurant but they were very busy with both people dining in and take out. I had the Chicken Curry Noodles. 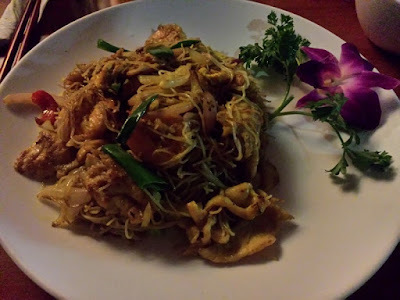 I was a little afraid that this might be a boring dish of chicken, noodles, and sauce from how the menu described it. Luckily, this turned out to be a beautiful bowl of deliciousness. There was plenty of variety with lots of vegetables mixed in, arranged in a very structural fashion. The sauce was very tasty. No complaints about this meal. I had dinner on another evening at a restaurant called Tony's Sushi. They had the menu split into three different sections. One each for Japanese, Chinese, and Thai food.